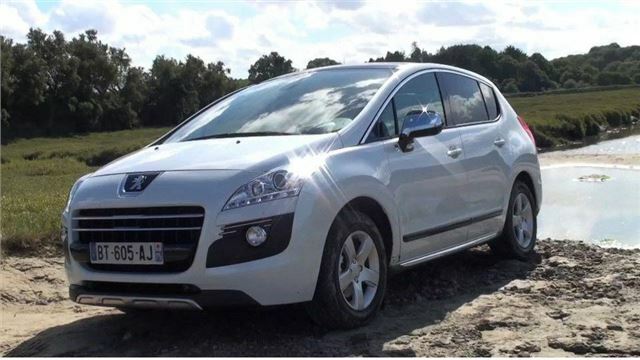 Back in 2009 the Peugeot 3008 was my surprise car of the year. 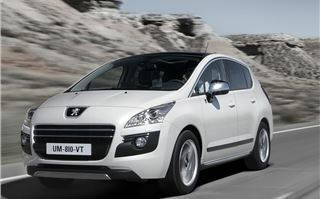 You can read that test here: Peugeot 3008 Road Test. 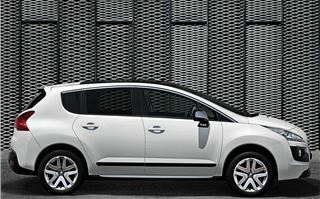 But now we’ve moved on a bit, and Peugeot has made the 3008 its first hybrid, the 3008 HYbrid4. The company looked at the technology of other hybrids, and sought to simplify it. 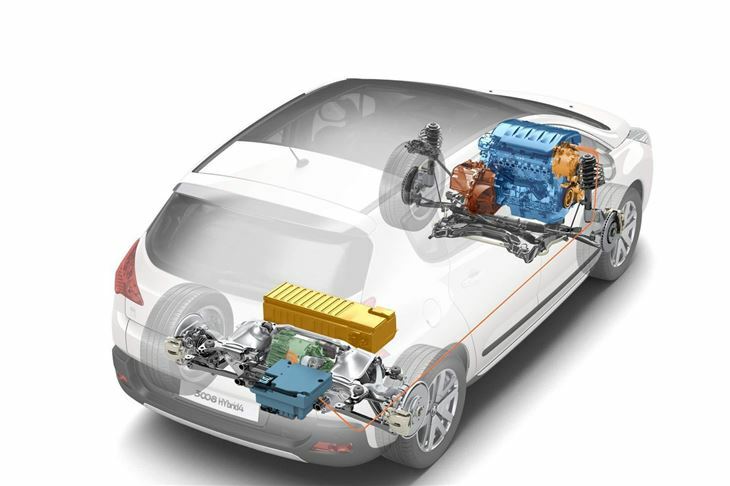 So instead of a two-part front electric motor and alternator the 3008 Hybrid4 4 has simply a big in-line alternator. 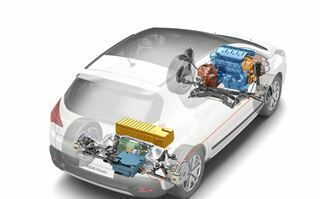 Instead of a petrol engine, it has a diesel engine, on the logical grounds that diesel engines are around 30% more efficient. 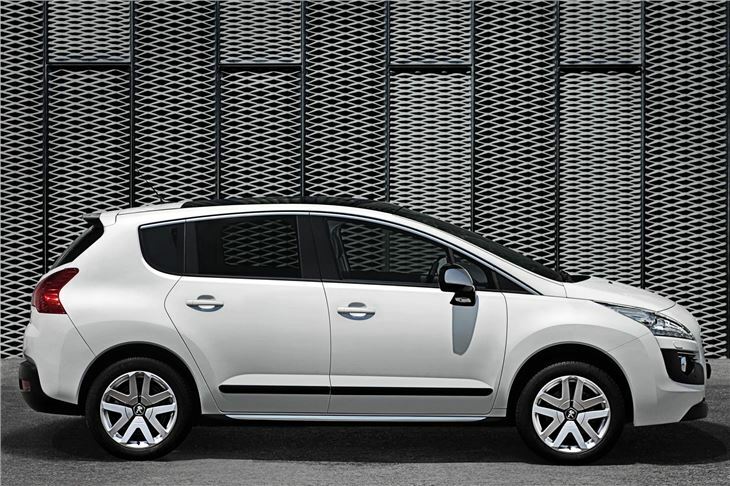 Instead of a CVT automatic transmission it has Peugeot’s EGC automated manual 6-speed. Instead of a Lithium Ion high voltage battery it has Nickel Metal Hydride high voltage battery located under the loadspace floor. Yet, like a Lexus RX hybrid, it has an electric motor/alternator instead of a rear differential. 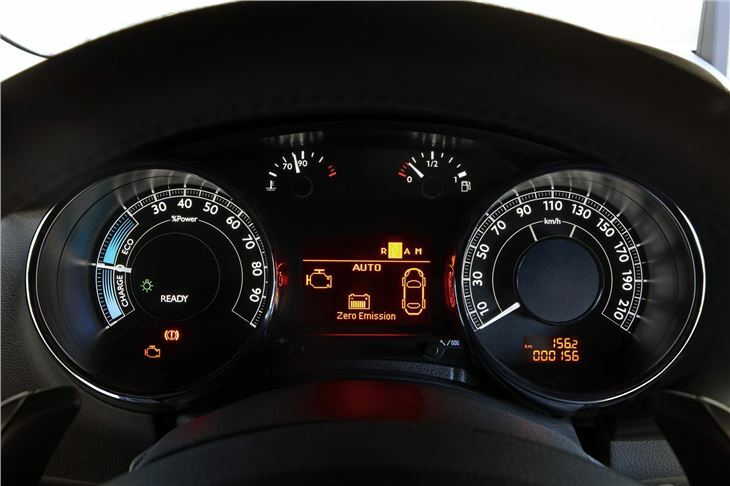 It also has a high voltage stop/start system, that utilises the rear electric motor, and gearchanges are also assisted by the rear motor. 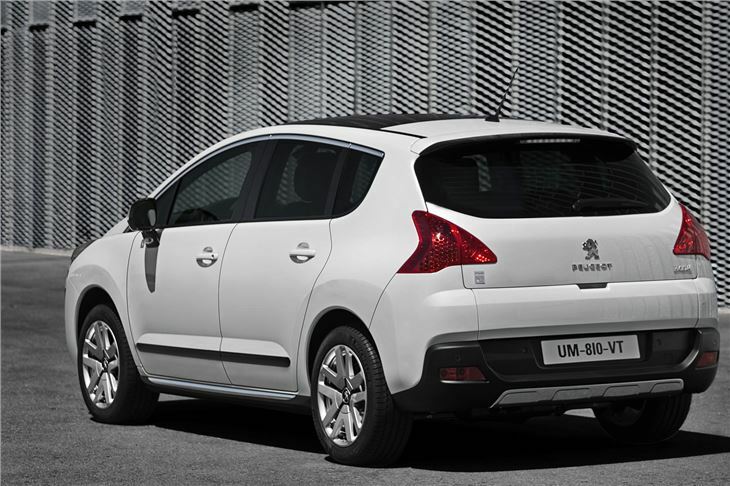 In time, it is possible that using the rear electric motor for start off may enable Peugeot engineers to eliminate 1st gear. 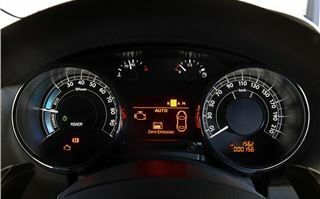 Inside the cabin, the mode switch allows ‘automatic’, which runs the car at its most efficient for the circumstances. 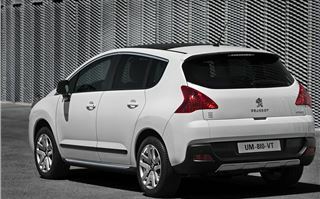 ‘EV’ to lock it in electric drive until the hybrid battery runs low, at which point it slips back into automatic. ‘Four wheel drive’, which engages both the front wheel drive diesel engine and the rear wheel drive electric motor together for use on the rough stuff and in snow. And ‘Sport’ which engages both the 163bhp diesel engine and the 37bhp electric motor together (the combined torque of these two is 500Nm.) And holds the diesel engine to higher revs. The standard version of the 3008 Hybrid4 comes in at 99g/km in the EC tests, so is both UK ‘road tax’ and London Congestion Charge exempt. And in the EC tests it squeezed 74.3 miles out of a gallon. Add more spec, though, and it’s in the £20 tax bracket. Though you can sometimes catch it out with clumsy driving, the drive is generally very smooth. In Sport mode you have the advantages of 200bhp, 500Nm torque and four wheel drive so the car can be hustled along indecently quickly. Yet in town you can adopt tailpipe emission free electric drive up to 44mph for 3 – 4 miles, depending on how much you have stored in the high power battery. All of this is packaged in the standard 3008 body without obviously losing any luggage space. So you get a 420-litre boot, extendable to 1,500 litres with the seats down, a flat floor, and a drop down tailgate. 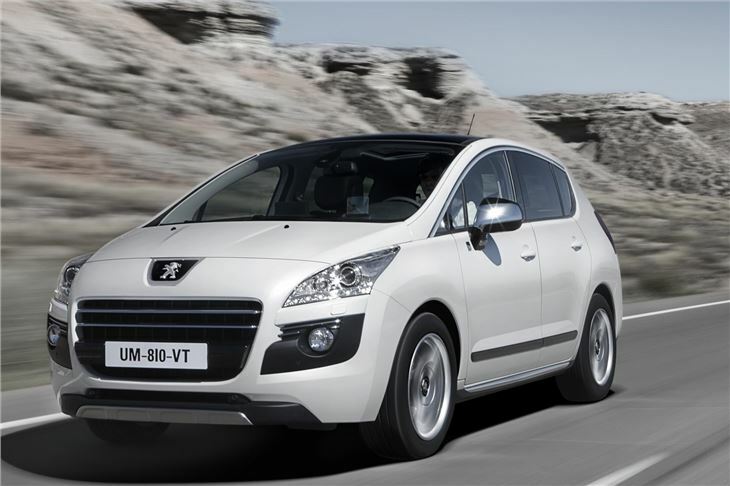 That’s MPV spaciousness, with the advantage of four-wheel drive and diesel hybrid economy. Pretty much everything in a single car.